For quite a long time, I haven’t really have a proper break and travel overseas. Going to Batam, Indonesia on a day trip with my team colleagues, it was a great time to head overseas, bond together, relax and have fun eating and shopping. Meeting early at 0745 hrs at Harbourfront McDonald, had a quick breakfast with some colleagues before meeting up with the rest of them at the cruise centre. Soon, we were boarding Penguin fast craft and heading towards Batam for our day trip of eating, shopping and some sightseeing ! 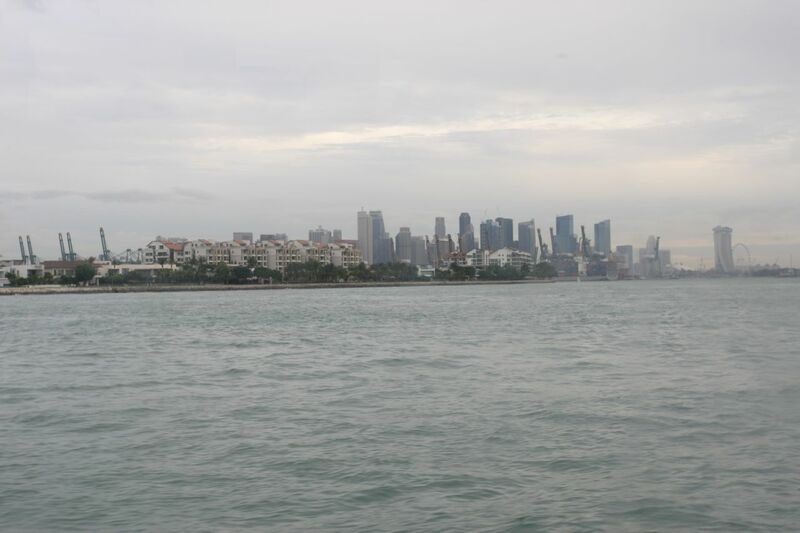 Batam is quite near to Singapore, about 1 hour by fast craft and on our way there, we passed by Sentosa Island, with a good view of Sentosa Cove and also the Marina Bay district too. Upon arrival, we were met by our friendly and pretty tour guide, sorted out the return tickets arrangement and timing. Once completed, we were off for our sightseeing and shopping, stopping at Polo shop, Kueh Lapis Home Factory and Tidbits store at Bengkong Dry Market. A short “pit stop” at all 3 locations before heading to our seafood lunch at Golden Prawn 555 Seafood Restaurant. Since we went on a weekday, there wasn’t much people at the restaurant, my colleague mentioned to us that, on the weekends, Golden Prawn 555 Seafood Restaurant is very packed with guests. 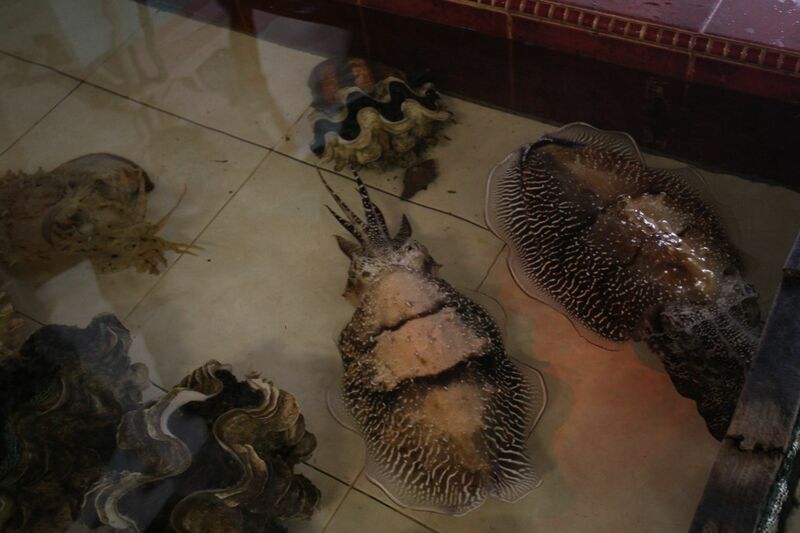 Before having our lunch, we were mesmerised by their fish tank of giant cuttlefish, shark, tortoises, crabs, crayfish and mussels, taking photographs and viewing them since it is not a common sight in Singapore. Soon after, we commenced out seafood lunch and had a fun time eating, relaxing, chatting and getting to know more of our colleagues better. 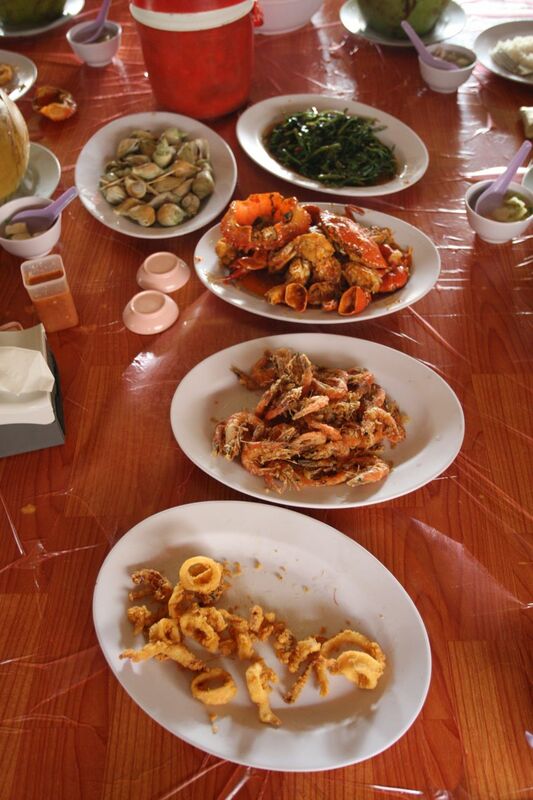 Check out our seafood lunch photos ! After a hearty and wonderful lunch, we proceed to Nagoya Hill Shopping Centre, whereby we split up into different groups, some went massage, while some went shopping. For me, I chose shopping and eating, slowly shopped for tidbits, factory outlet clothes and shoes, and of course, not forgetting, A&W Root Beer Float and waffle ! With the rest of the colleagues joining us back, we hopped back into our tour bus, collected our kueh lapis that we ordered earlier and for me, in big and small bags (For once), we returned back to Batam centre for our ferry back to Singapore !